1) Banh Mi at Moto Pho Co. Moto Pho Co. is not our typical experience with banh mi sandwiches, which we are accustomed to eating in more downscale digs. We have enjoyed extraordinary banh mi sandwiches at bare bones bakeries, foul-smelling Asian grocery marts, and holes-in-the-wall that were filthier than our college dorm room. 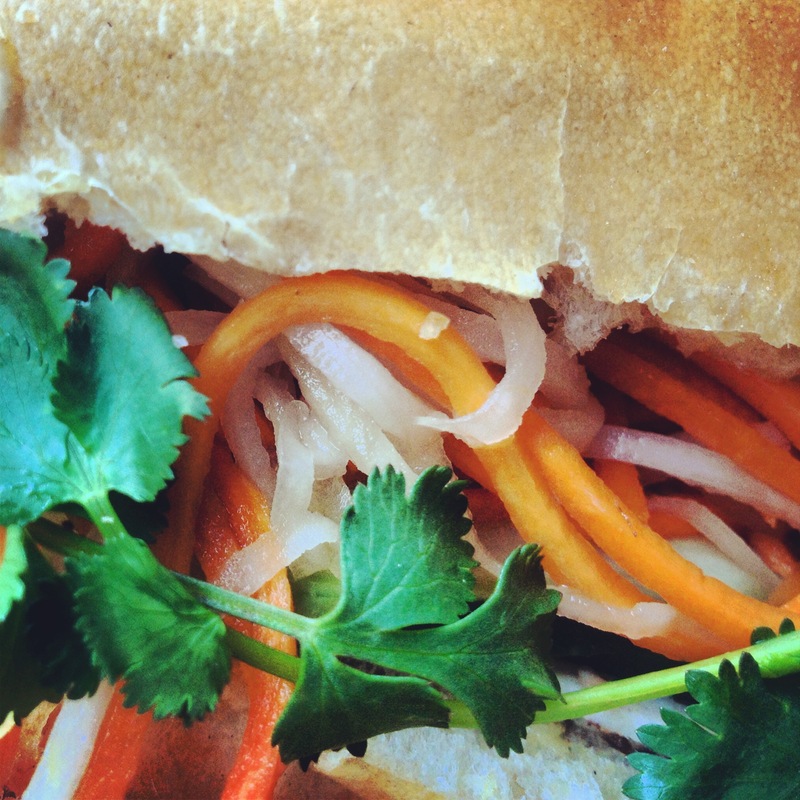 While these Vietnamese sandwiches can take many forms, they are almost always served on crusty baguettes, and filled with some sort of meat, such as pork liver pate, head cheese, pork meatballs, or pork belly. Garnishes often include cucumber, pickled carrots, daikon, cilantro, chilis, chili sauce, and mayonaisse. Like Banh Mi Boys in Toronto or The Box here in Charlottesville, Moto Pho Co. takes these humble sandwiches to slightly snazzier digs – a sleek, airy dining room and a welcoming patio on West Main Street. Despite the upgrade in surroundings, the sandwiches themselves stay true to form, with just the burst of flavors that makes banh mi sandwiches one of our most irresistible cravings. We’ll be back again and again. 2) A.M. Biscuit at Beer Run. For years, one of our favorite parts of Sunday has been Conchi’s Biscuit Basket at Beer Run’s brunch, which contains three biscuits that are so light that they seem to defy physics. The biscuits are worth waiting all week for. Now, we don’t have to wait anymore. Beer Run has recently made the biscuits part of the daily breakfast menu. 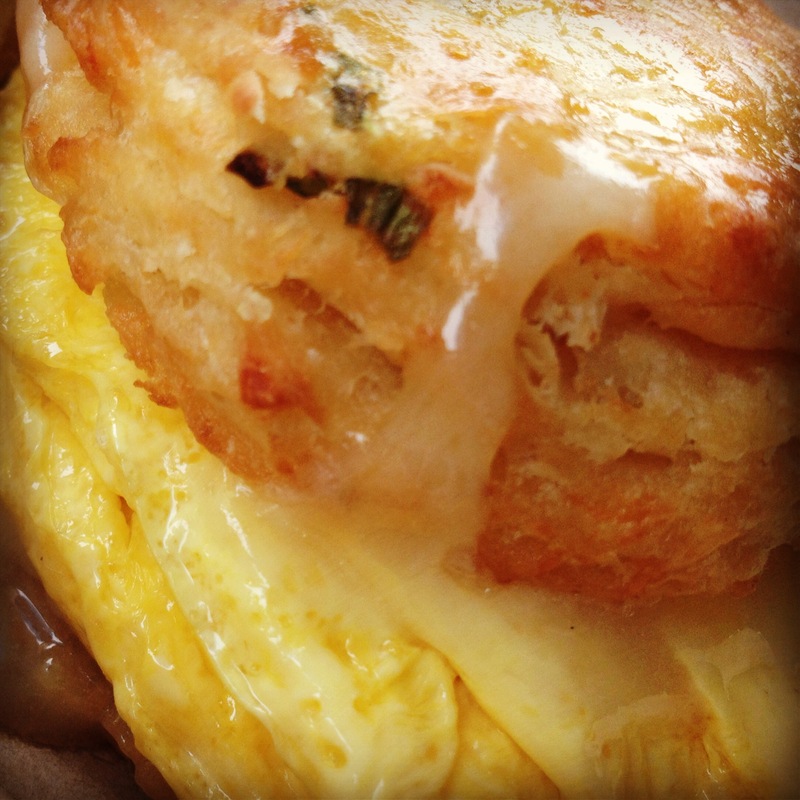 The A.M. Biscuit ($3.75) includes a freshly baked cheddar-scallion biscuit with egg and a choice of cheese. A delicious and hearty start to the day, particularly when you’re not sure if you’ll have time for lunch.